I had someone not that long ago ask me what a GMO was. I suggested she do some research and let me know her thoughts. 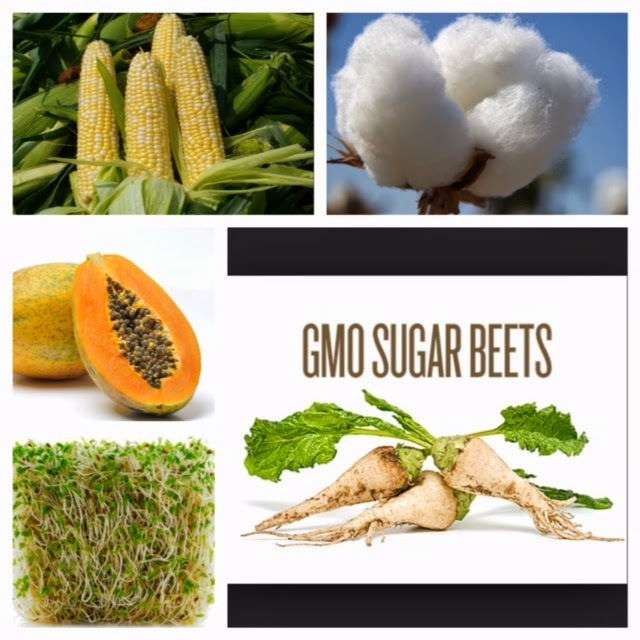 I found this website to be very helpful http://www.nongmoproject.org/ Corn, cotton, papaya (one of my favorite foods), alfalfa, sugar beets and soy beans are the top genetically modified crops grown in the US. I guess we will know the true side effects of them in 20 years. Until then safe eating!